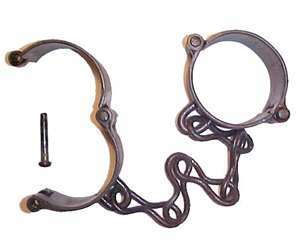 historical crime or mystery would you like to investigate and why? 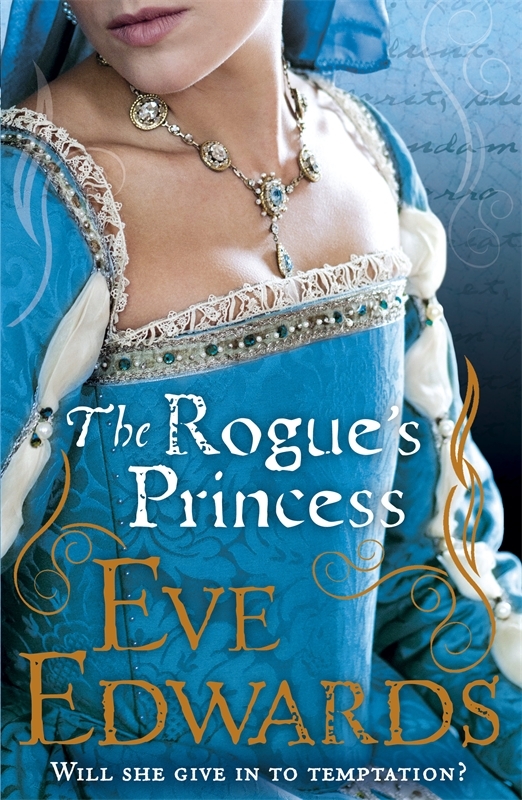 The Rogue's Princess is set in the Tudor theatre world of the 1580s when Shakespeare was just starting out on his career. What was the name of the theatre in which Shakespeare and company acted after 1599? (Hint - you can visit it near its original site today in London). All entries to be comments on this post only. We are very grateful to Penguin and Puffin for donating competition prizes. We welcome Pat Walsh, writer and archaeologist to our blog today to talk about her novels set in the Middle Ages, featuring young William, a Hob, a Fay, a Dark King (he would say the Dark King), sinister Dame Alys and her white crow and several monks. Pat agreed to answer questions on many aspects of her work, from writing sequels to the Black Death. Thanks for being such a patient subject, Pat. HG You had a big success with your first book, The Crowfield Curse, which was a runner-up in the Times Children’s Fiction Competition. Had you really not written anything before? You seem to have sprung fully-armed as a novelist out of nowhere. PW Far from it! I wrote several books before The Crowfield Curse which did the round of publishers and agents and garnered a nice big crop of rejection letters, and I’ve had a number of short stories and a novella published, in magazines and small press publications. Nothing is wasted, though, and those early books were a necessary part of the learning process. HG Did you conceive the whole sequence as a trilogy from the beginning or did it occur to you in writing the first book that there was potential to extend the story? PW It was always going to be a trilogy. The story would not have fitted into a single book. HG Your training as an archaeologist might account for the number of things that are “dug up” in these books, sometimes with fearful results. Do you consciously draw on those skills when writing? PW Not consciously, no, but all my life I’ve been fascinated by what might lie buried in the ground. On a dig, you never know what you’re going to find and that thrill of discovery has never left me. I think that sense of anticipation, of uncovering lost or hidden things, was inevitably going to find its way into my writing. HG The Crowfield Demon is set very precisely in March 1348. Is there a special reason for this, which was a terrible plague year in Europe? PW When I started the Crowfield Curse, the first book in the trilogy, I wanted to bring the Great Plague into it. It was such a terrible time in English history and so many strange ideas and beliefs grew up around the onset of the plague, that I thought it would make a very interesting backdrop for William’s struggles with the fay and the demon. However, it quickly became apparent that I would need to start the story a little earlier, and so the first book is set in the winter of 1347. The second book, as you’ve said, takes place in March 1348, shortly before the plague reaches England, so the plague does not make its appearance until the third book. HG Poor William and the monks enjoy the most terrible weather! It seems always to be pouring with rain in this book as it was bitterly cold in the first. Will book three be set in high summer? PW Yes, the third Crowfield book is a late summer book! Actually, the rain in the Crowfield Demon isn’t gratuitous – the spring and summer of 1348 really were that wet. Crops rotted in the fields and people were facing the threat of a very lean winter to come, with grain shortages for everyone, except the landowners and the rich, and starvation for many. HG The History Girls would love to know how you set about researching the background for a novel set in the first half of the fourteenth century. PW I’m lucky in that the archaeology unit I work for has a first rate library and several people who are experts in the medieval period. I made full use of both! The library has a comprehensive and up to date collection of archaeological books and journals and my research was, quite literally, from the ground up. One colleague in particular was immensely helpful. He is a medievalist with a special interest in monastic archaeology. He was able to point me in the direction of material that I would not have found on my own. A great deal of what I learned was not used in the books, but it is there in the background. I have also worked on a number of abbey and priory sites over the years, both on digs and post-excavation. You learn a lot about the day-to-day life in a monastic house that way. I even spent a year drawing the tiled pavements from a Cistercian abbey church, a job which drove me very close to the brink of madness! I deliberately chose not to include the wider history of the period in the Crowfield books, but focus closely on the abbey and the two nearby villages, as I was not writing a straightforward historical novel. The fantasy element was always going to be the main focus of the story. HG Can you tell us anything about how you found writing the sequel? Many of us have written trilogies and “middle books” are notoriously difficult. PW I actually found it relatively easy writing the second book, probably because I thought of it as just carrying on with the story from first book. Having said that, I did reach a point where I had been with my characters for too long and needed to break away from them. I could not have sat down and started on the third book straight away. I’m writing a new book at the moment, set in the 10th century, and the change of voice and perspective has been wonderful. The third Crowfield book is planned out and partially written, but the break away from that enclosed world for a while means that I’ll return to Crowfield refreshed and raring to go. HG We love the character of the Hob. He is funny, loyal and lovable, while remaining unpredictable. You hint as a separation to come from William, which would surely be as traumatic for readers as severing Lyra from her Daemon. HG Shadlock the fay is another great character. His destiny is now inextricably entwined with William’s. I don’t suppose you have give us any hints about book three? PW In the third book, a fay war begins and Shadlok has no choice but to go up against the Dark King and to try and stop him from enslaving all the free fays in this world, but only one of them can survive. Meanwhile, the Great Plague reaches Crowfield. Who will live and who will die? And does the plague kill only humans, or are fays at risk too? Pat Walsh was born in Kent, and spent her early years in Africa and Ireland. Her family eventually returned to the UK and settled in Leicestershire. From the age of nine, she knew she wanted to be an archaeologist, and she still works in archaeology today. Her first book for children, The Crowfield Curse, was shortlisted for the Times/Chicken House competition and the Waterstone’s Children’s Book Prize, and was published in 2010. It is a historical fantasy, set in 14th century England. The second book in the series, The Crowfield Demon, was published in April 2011. Pat is now working on a new book, a ghost story set in the 10th century. A third Crowfield book will follow in due course. First, thank you Caroline, for inviting me to guest post. It is an honor to be included here among so many authors whom I admire and respect. Like Caroline, I also write about the ancient world for children, though I am “across the pond.” One thing that has always impressed me about Caroline’s Roman Mysteries series is how fearlessly she represents the ugly realities of the times, such as male castration or child abductions by slave traders. American publishers, it has always seemed to me, are more skittish about depicting such harsh realities. The issue of slavery, in particular, has always been a hot button here in the U.S. and understandably so. 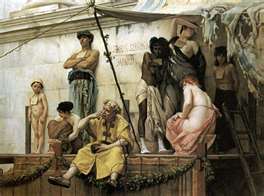 Still, I was surprised when one reviewer of my debut novel—Cleopatra’s Moon—wondered why I had not had my main character question the universal practice and acceptance of slavery in the ancient world. Cleopatra’s Moon is the story of Cleopatra’s daughter, Selene, the only one of the queen’s four children to survive into adulthood. This was the daughter of the most powerful woman of her time, a child whose parents’ committed suicide, whose older brother was murdered, and who was forced to leave a life and home she had always known. The rightness or wrongness of slavery, I believed, would hardly have entered her awareness, let alone her consciousness under those circumstances. Plus, we know that there was no organized “abolish slavery” movement by leaders of the ruling class, either in Egypt or Rome. 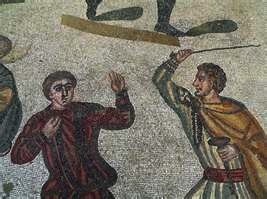 Granted, there were Roman slave revolts—a la Spartacus—but those were driven by slaves and not by any kind of moral imperative that questioned the practice. So what was the reviewer’s question really about? I believe it was actually a reflection of my country’s deep discomfiture with our own savage history of slavery and its continuing legacy of institutionalized racism. We had converged upon a cultural flashpoint. In regard to historical accuracy, I know I made the right call in having my characters unquestionably accept slavery as the way the gods fated some people to live. But it has made me wonder. Have other author’s experienced similar challenges or situations? Have you as readers ever come across a story where it seems evident that the author is imposing a modern or politically-correct view onto history? Again, thank you for having me here! Vicky Alvear Shecter's debut YA historical novel, Cleopatra's Moon, was published in America on 1 August 2011 to rapturous reviews. Luckily for us, Cleopatra's Moon is also available in the UK. 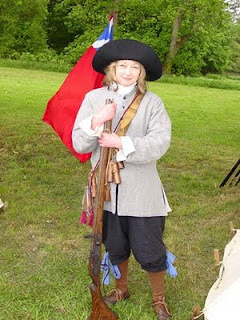 You can find her at www.vickyalvearshecter.com and she blogs at History with a Twist. I have been thinking about words again. Today's word: still. I wrote a sentence about some ivory elephants still in a glass cabinet, which pleased me because of the double meaning: the elephants remain in the glass cabinet; the elephants are motionless in the glass cabinet. Both suited my purpose. The connection is fairly obvious: if you stay still, you'll still be in the same place later. By the time I've been thinking about a word long enough to be thinking that, I have generally reverted to Skeate. (We're on surname terms, Skeate and I, after many years of happy collaboration: its full name is of course Skeate's Concise Etymological Dictionary of the English Language, first published 1882. My edition is 1927, and used to belong to one Rachel M. Thorpe, who wrote her name in the front in nice round handwriting). 'Still', Skeate tells me, is from the same route as stall: Middle English stille, to be motionless; and the verbs stillen, to remain in a place or stall, and Anglo-Saxon stellan, to place. And so on to Anglo Saxon stille, continually, ever. I like that when my car stalls, it is perhaps wanting to go back to its stable. This reminds me of an Italian farmer I used to know who thought motorbikes were no good, because they couldn't just refuel at any handy grass verge, like a horse. Then - but why does stille mean silent in German? Is it because when you are still you make no noise? And thus, mind leaping on, I came across a story for you. There's a very fine writer, historian, and journalism professor at Columbia University, called Alexander Stille. An American, known as Sandro to his friends, he has written phenomenal books about the Mafia, and about Berlusconi. His father, a Russian Jew brought up in Italy, was originally called Mikhail Kamenetzky. Before Mussolini's race laws of 1938 prevented him from working and ultimately forced him to leave Italy, he too was a journalist, the editor of the Corriere della Sera, no less. He and a colleague, the Sardinian writer and translator Giaime Pintor, had adopted a shared nom de plume under which they could continue writing anti-fascist articles: Ugo Stille. They got it from Rainer Maria Rilke, apparently - a misunderstanding in translation meant they thought Stille to be a proper name. But what a curious - or ironic? - choice! The language is that of the enemy, which to them was also the language of the poetry that they loved; the word means precisely what they were not prepared to be: silent. And they were hardly stationary, either - Alexander's family travelled in two generations from Russia to Lithuania to Italy to New York. Pintor, who may have been recruited by the British secret Service, was only stilled by a Nazi mine, which killed him in 1943. He was 24. After the War, Kamenetzky kept the name, Stille, in honour of his friend, and in due course it became Alexander's. But then, in their way, these men are still. They are still there, still saying what needs to be said. They are consistent. That's their stall, where the son has set out the same wares as his father and his father's friend: recording and confronting the corrupt and the unjust. I very much want to read that family history. In the meantime, have a look at Alexander Stille's book Benevolence and Betrayal: Five Italian Jewish Families Under Fascism. But don't get any ideas from it. I want them. 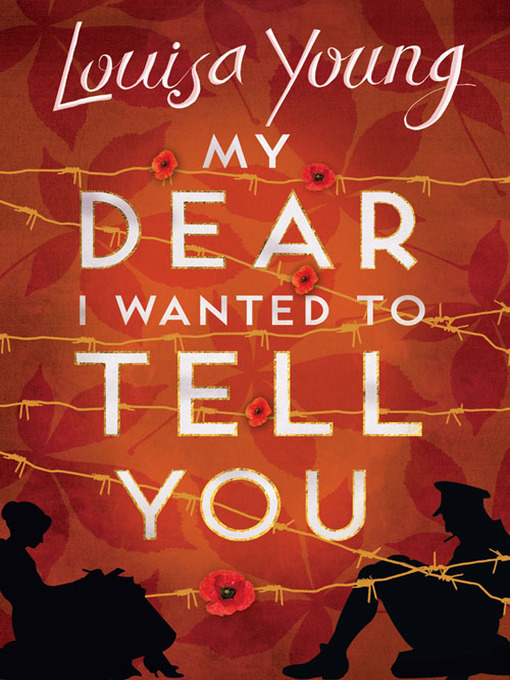 Louisa Young's My Dear I Wanted to Tell You is now out in paperback, kindle & audiobook. Don’t read on if you’re squeamish. I’ll start gently. 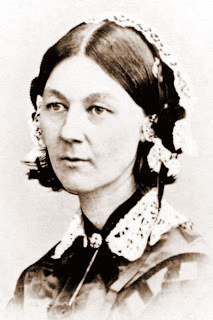 Earlier this month, Mary Hooper used the phrase that always strikes fear into the heart of the historical novelist – ‘if someone objected, some real historian’ (my italics). My fear is almost worse: what happens if my family object? I, you see, have not only commandeered the lives of real people – Chaucer is a major character in Belle’s Song, not as the benign Grand-daddy of English Lit but in his lesser known role as a spy – but I’ve made merry hay with my relations. All safely dead, of course, although since in our family there’s little distinction made between the dead and the living, that’s no guarantee of safety. It was natural to seize on Francis Towneley, my six times great uncle, always known to us as Uncle Frank. In fairness, I didn’t seize the whole of him: I just seized his head, because there it was, on a spike above Temple Bar, ready for the plucking. Uncle Frank, an ardent Jacobite, ‘suffered for his prince, August 10th 1746’. Suffer he certainly did. He may have declared that it was ‘better to die by the sword than fall into the hands of those damned Hanoverians’ but the sword wasn’t what King George II had in mind. Uncle Frank was the last man in Britain to be hung drawn and quartered. If you’re not actually eating, you might like to read this rather terrific description (with thanks to ‘Old and Sold’ ). After he had hung for six minutes, he was cut down, and, having life in him, as he lay on the block to be quartered, the executioner gave him several blows on the breast, which not having the effect designed, he immediately cut his throat : after which he took his head off : then ripped him open, and took out his bowels and threw them into the fire which consumed them, then he slashed his four quarters, put them with the head into a coffin, and they were deposited till Saturday, August 2nd, when his head was put on Temple Bar, and his body and limbs suffered to be buried. That’s the worst over. Or perhaps not. 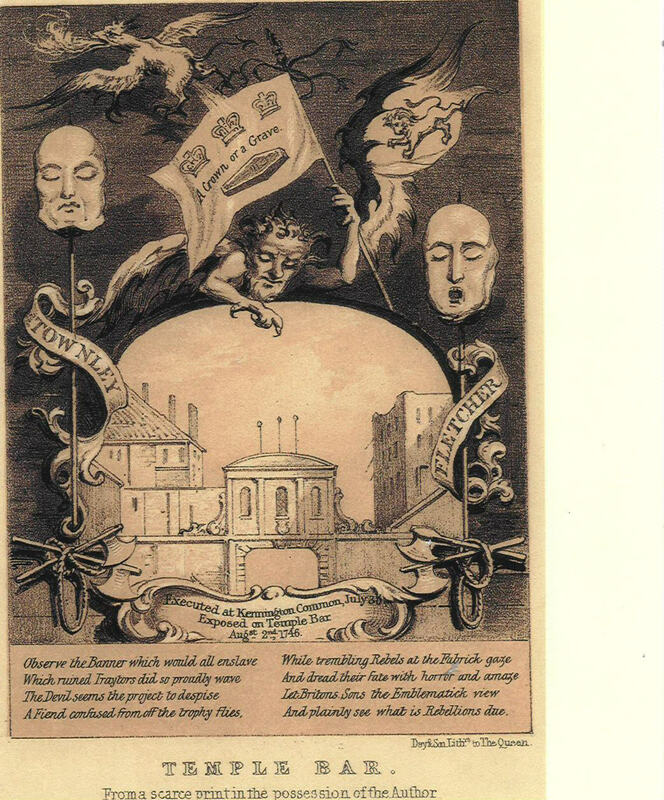 Uncle Frank’s head, having been viewed by both Horace Walpole and Dr. Johnson – Walpole wrote to a friend ‘I have been this morning at the Tower, and passed under the new heads at Temple Bar, where people make a trade of letting spying glasses at a halfpenny a look’ – it was rescued by a family member and eventually returned to Towneley Hall, where my great great aunt, Lady O’Hagan remembered it being kept in a basket on the sideboard. Oh, there’s more, but suffice to say here that Uncle Frank’s head rolled straight in to How The Hangman Lost His Heart. I don’t stop at people. In 1861, my family had a Derby winner, Kettledrum. A jokey bet had been placed on him when still a yearling, and when he turned up trumps, my three times great grandfather found himself the unexpected recipient of £2,000. Ever conscious of his immortal soul, he built some churches, and if you ever visit the small jewel that is St. Hubert’s at Dunsop Bridge, you’ll see four small carvings of a horse’s head on the side pillars of the altar. I always loved Kettledrum. In his portraits, he looks so worried! And he’s not even the right colour: he is painted as bay but was actually chestnut. That clinched it. He galloped into Hartslove, a fine successor to Hosanna in Blood Red Horse. But here fact and fiction collided. To the Towneleys he was Kettledrum. To the de Granville family, he was The One and so, in Hartslove, published in a fortnight, The One he remains and his story is rather different. Yet I kept the year – 1861 – and the race too. I have dedicated Hartslove to Kettledrum but still, my family may be quite cross with me, though I hope not as cross as King George was with poor Uncle Frank. On the tiny island of Goree off the tip of the most western point of Africa, I discovered a new taste experience… fish baked in a salt crust and a delicious fish stew flavoured with sublime aromatics, called tiebou dienn, served up with crusty baguette to the mystical music of the kora – a 21 stringed harp lute. The celebration of music and food was so intense that fifteen years later when I heard the stringed music of a kora wafting through the passageways of a London tube station, I was immediately transported back to Senegal and Goree Island. The intensity of my experience went way beyond the amount of days I spent there. This is probably what most writers dream of achieving in their writing… that the mood and feeling of the novel is so heightened that it stays with the reader long after the book is closed. Strong characters are a sure way of making the novel live on but along the way the intensity of the experience is enhanced by the senses… not just visual but the auditory, olfactory and gustatory senses. 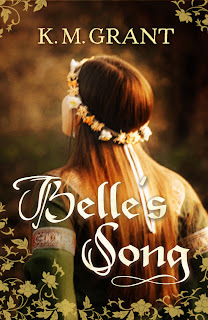 Louise Berridge gave us that wonderful post on Sound and Silence recently and like many of the History Girls I enjoy writing to music but it’s the gustatory kind that often unlocks a story for me. It’s the detail that entraps me. The crossover of food cultures is fascinating. Very clear from Kingsolver’s passage…maize flour which is abundant in Mexico is seen as inferior to wheat flour. Invaders, conquerors and emigrants have always brought to the new country, foods of origin from their own. And conquered people are often forced to take on the food of the conqueror almost as they are forced to take on the religion and language of the conqueror. Conversely the conqueror or colonist takes exotic foodstuffs from the conquered land… like chocolate and coffee… back to the home country. So food is often a marker in history as seen in the race for the spice trade between the Portuguese and the Dutch with the English being brought in as well, each eager to establish their own colonies in the East, and the import of tea in the US, or sugar in its relation to the slave trade. Whether it’s preparing pan dulces or making maize tortillas in Mexico, or collecting salt outside Dakar, preparing caviar in Tzarist Russia or harvesting olives and figs in Urbisaglia in the first century BC, food imbues a story with authenticity and detail. What people cultivate and what they eat seems to get to the soul of who they are. 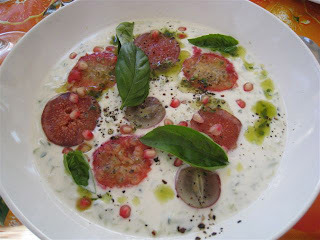 Some foods like cumber and yoghurt soup with figs and pomegranate, or deep fried zucchini fiori, or durum wheat pasta, or burnt custards have hardly changed over the centuries. Ever wondered why Portuguese desserts feature so much custard and egg yolk? The whites of the eggs were being used by nuns in the monasteries to starch their habits and for the clearing of wines like Port. Honey was used as a sweetening agent until the 15th century when Portugal obtained sugar cane from Crete and cultivated it on the Atlantic islands, mainly Madeira. 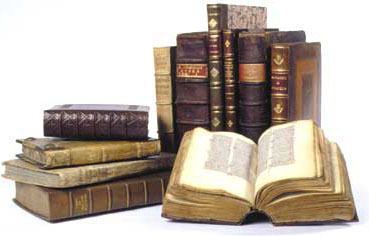 Records of Victorian and Edwardian meals are abundant and religious feasts or feasts of pageantry and a Bacchanalian nature in history are usually easy to research (each History Girl must have her own favourite History of Food reference book) but some stories and in particular ‘survival’ novels whether modern or historical, pose a problem. What do people live off in survival stories? Not much in the way of a feast but still giving insight into the sort of person Fox is. In The Poisonwood Bible, Kingsolver has the American family eventually eating fufu (a sticky African maize porridge not unlike polenta) and nsaki (wild greens) with their hands. So a bacchanalian feast is obviously out for the survival novel.The story I’m writing at the moment is set in 1630 – a Portuguese shipwreck on the southern tip of Africa. I can only imagine what they survived on – shellfish and gull’s eggs and things that could be caught with a makeshift bow and arrow. I suppose if I were given the chance to sift through a shell midden, if would be as if I’d been invited to dinner. But having no access to shell middens, I have to imagine the dinner. What has become very obvious to me though, if you like writing about food, don’t write a survival novel! How television gives a false impression of archival work, why it matters, and the worrying medical parallels. In my last post, I was ranting on about the use of the present tense in historical discourse. I was particularly critical of broadcasters, and here I go again. This time I'm on about gloves. The presenter is found, awed and whispering, in an apparently deserted library. The eminent archivist solemnly presents an ancient book or velum roll, and the celebrity reverently pulls on a pair of white cotton gloves to protect the precious artifact from contact with his foul and dangerous skin. Cut to a close-up. The begloved finger is drawn across the line of text the producer wants to highlight. Well, working in archives is wonderful, thrilling, and an immense privilege, and in the UK we are blessed with some of the best collections in the world, still (so far) maintained at public expense, and therefore rightly available for us all to access. We must protect them. But we need to make sure that the measures we take do more good than harm. Now before I start on about gloves, let me make it clear that I welcome the many modern developments that are helping conservation -- digital imaging being perhaps the most important. There is no substitute for seeing the real thing (it's a practical, as well as an emotional necessity: only then, for example, can you tell a crucial comma from dirt on the camera) but even the grandest historian doesn't need to consult that original every time. Indeed having a digital image of a document on which you are working over a long period not only preserves the original from your repeated attention, it can save your bacon: illegible handwriting can be decipherable when blown up on a computer screen; documents held on different continents can be compared side-by-side; precious texts can be consulted in bed (or even, if you don't drop your ipad, in the bath). As a protective measure, digitising has wonderful side-effects. 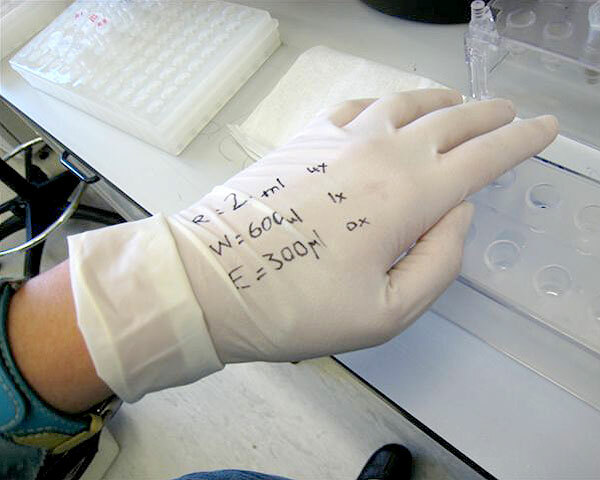 But that other recent craze - using white gloves - can bring disaster. Although they may be required when handling some objects which are particularly vulnerable to fingermarks or human sweat, the idea peddled by the film-makers that they are an essential tool when consulting written archives is crackers. Go and get a book now (any book) and put on some gloves. Try turning the pages. I bet you that within minutes you will have made at least a small tear in the edge of one of the leaves. Gloves are the enemies of dexterity. You wouldn't put them on to do cooking or sewing -- for obvious reasons. They impede the function of the human hand, which is so well designed to manipulate delicate things, and to sense when a light touch is required. If you want to do something carefully, do it with bare hands. Ah, I hear you say, but what about dirt and sweat? Leave aside the view that some surfaces actually benefit from the oil in human skin, the best protection against those dangers is washing (and drying) your hands. Clean dry hands are the perfect tools for turning pages or unrolling scrolls. If your hands are made dirty by the document itself (if you're lucky you may be consulting something few people have seen for centuries, and those things can be pretty dusty) you can wash again. How many changes of gloves would you need to keep that white cotton clean? Cotton picks up dust and grit in no time. It spreads it across the the paper. 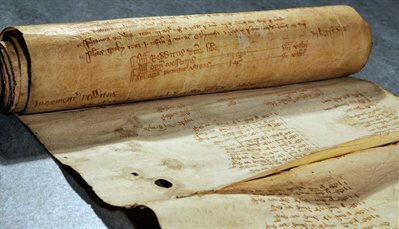 Most historians, using their own hands, would never dream of handling anything other than the extreme edges of a document. They certainly wouldn't run their bare fingers along the text. It just feels wrong. The delusion that a glove is something clean breaks down that psychological barrier. Hence the amateur genealogists on telly pointing their way though letters and registers like five-year-olds learning to read. And here's another thing. If you go back far enough (perhaps to the beginning of the last century, before the wars brought first the necessity and then the skinflint habit of printing on inferior paper) the pages of most old books are actually pretty tough. Anyone who's had a paperback published will already know the embarrassment of being asked to sign a fairly new book that's going yellow at the edges and falls apart in your hands. Seventeenth century books are much more robust (they're often better printed too - particularly the pictures - but that's another story). Most of them can still stand up to being used for what they were meant for: reading. The good news is that the mania for gloves is not universal. The British Library even has a video explaining why they are not always a good idea: a necessary corrective to the glove propaganda put out by the documentaries. Nevertheless, friends have told me that some archives, particularly small local ones, are beginning to fall for the glove delusion, perhaps because the public expect to be asked to wear gloves after what they have seen on TV. Incidentally, The only time I have ever been offered gloves was when an assistant in an archive noticed that a box of velum court records was particularly dirty. She asked me whether I'd like some gloves to keep myself clean. In other words, the gloves were to protect me, and not the documents. And that brings me to the medical link with all this. When I am not hanging out with historians, I spend a lot of time with doctors. As we all know, since the rise of concern about HIV and hospital infections such as MRSA there has been a huge interest in hygiene. This has led to far more use of gloves. I'm not saying that they are unnecessary, but a very wise medic pointed out to me recently that their main purpose is to protect the doctor, not the patient. Even though we may feel safer in the hands of gloved-up nurse, doctor, or dentist, we may be falling into the same psychological trap as the archival researchers. The problem starts with the box the gloves are kept in. Watch next time you are in a hospital. How many people wash their hands before they plunge them in to pull out a glove? What happens to the germs on that that hand? They go on to the surface of next glove in the box -- the surface that is going to be in contact with the next patient. I talked about this with my dentist (as he scratched his nose with his gloved hand). He was graphic in his description of the possibilities for germ transmission . It's not that the gloves are useless, and they genuinely do protect the professionals from our body fluids, but they also make them feel as clean on the outside of the glove as they are on the inside, and that simply isn't the case. The same goes for everyone involved in cleaning and maintenance in medical settings. 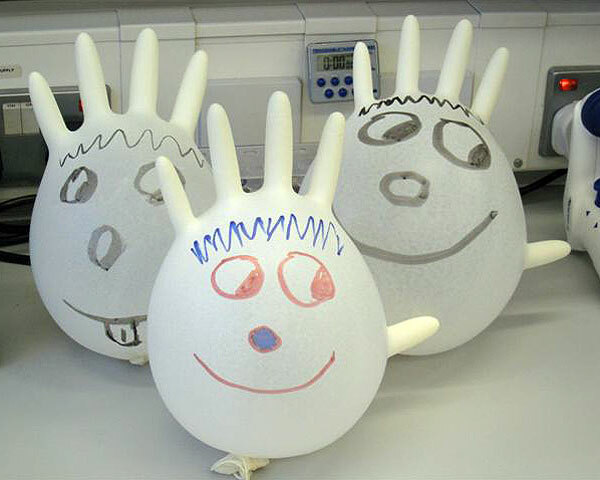 Unless they change their gloves between tasks, there is no reason to think that you are any better protected from other patients' germs than you would be if the staff had bare hands. Why do gynaecologists wear bow ties (as opposed to long dangly ones)? The answer is nothing to do with trying to look distinguished. I can see this one ending up on Dragon's Den. But in the archival context we should always ask ourselves why we are wearing them, and own up if we they make us dangerously clumsy. So if anyone ever insists on you using gloves in an archive, use your common sense. Ask the archivist why you should wear them (there may be a good reason relating to the particular material you are consulting) but if you find that they prevent you handling the document with appropriate care, say so, and ask for help. Libraries are full of aids to make the physical process of consulting original material less risky. There are special stands, weights, cushions and acid-free place markers. It's quite rare to be told that they are available, where they are, or how to use them. Find out. It will prolong the life of irreplaceable documents, and make the joy of working in an archive less anxiety-laden, and even more intense. Most of my historical novels have a medical theme. The Montmorency books feature a doctor who stumbles into ethical traps, and Johnny Swanson, set in 1929, is in part about the fight against tuberculosis. I hated history lessons at school. There were two very good reasons. Let's call them Mr A and Miss B. Mr A terrorised me from the age of six to ten. I was going to say he taught me but I prefer to say he tried (failed) to sear the facts into me using fear and unconcealed contempt. 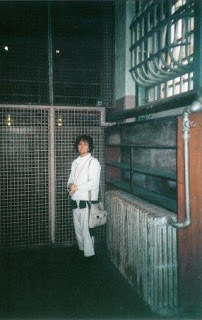 Did he seem to hate me because my father was the headmaster, or because I was the only girl in the school apart from my younger sister and he was a misogynist, or just because he could? Later, there came Miss B. Did she seem to hate me because I so often forgot things, or because I more than occasionally answered back, or because I rather enjoyed being sent out of her lessons, which fluctuated between interminably tedious and terrifying, or because she was riddled with pain from what was clearly a hip replacement in waiting? I never knew what history was for. Actually, I didn't know it was for anything. I thought it was just knowledge and knowledge was a Good Thing because it just was. Oh, and knowledge was facts, I was led to believe, nothing more complex than that. Knowing that two plus two makes four was exactly the same sort of thing as knowing the cause of the First World War. (Which, of course, was that guy getting shot. Because that's what Miss A's book said.) Knowledge came from books, and nothing else. Never did we touch an object or smell the ghosts in the stones; never were we allowed to feel the emotions of our forefathers. Much less our foremothers. Facts, not feelings. And then, years later, I found myself unexpectedly writing Fleshmarket, after hearing the story of a woman having a mastectomy without anaesthetic in front of an audience of men. One important thing about this story was that I heard it while touching the table on which her operation happened. That stain - was it hers? That deep scratch - was it when the knife slipped from her body? But more was to come before I properly understood, an hour which wiped clean away the failure of those history teachers and dropped me deep into the emotions of the real people who lived before us. That hour was the one I spent in one of the hidden reading rooms of the National Library of Scotland, where I'd gone to read the newspapers from the trial of William Burke. I will not forget it, sitting down, after washing my hands and discarding all writing implements except a soft pencil, and the librarian bringing me the huge folders, laying them down softly on unbleached pillows and handing me the ruler with which I could turn the pages. And there I read and touched - importantly, I think you have to touch - the pages, the actual pages that the people who lived at the time had touched. Not history books, not internet sites, not secondary sources, not interpretations filtered by hindsight, but the things they made and touched that day. There's a kind of spirit left behind in objects and you have to be allowed to know it. Otherwise you won't understand, I think. I know we can't let every historical object be touched by everyone, without control and guidance and without protecting the objects, but everyone should have the experience of touching things from the past and being allowed to feel what they mean. But maybe I shouldn't blame those horrible teachers, or even the system I was taught under. I wonder: is it possible that children find it harder to make that connection to the past. Did I have to be an adult before it could happen? Was it me, my teachers or my age? Or none of the above? I'd love to know: when did it happen for you, this being bitten by history? This is my last post for the wonderful History Girls, as I've had to step aside because of pressure of "stuff". Long live the History Girls, bringing the past to life! Following Barbara Mitchelhill's excellent and interesting blog about finding 'a special air-raid shelter', I'm also going to blog about writing an incident during an air-raid - but it is something completely different, I think. Now I could suppose that she wrote down the true account, and that I had remembered it wrong. Maybe I did. On the other hand, my father gave her extensive feedback while she was writing the book, and he didn't like her to put in anything that he saw as 'unseemly.' In another place in her memoir, she appealed to me and I told her to ignore my father, but here, my feeling is that she submitted to him. She had experienced a lot of horrific stuff and his ring-fencing of what could be described may have given her a sense of safety. I don't know. One thing is sure; she never in her life went back to Berlin, and when I talked to her about my visits to the city, she just switched off. She didn't want to hear about it. Anyway, when I saw that she hadn't written the story, I thought it was mine, though I waited for quite a long time before I decided to use it in Saving Rafael. But then I had to start working out how the whole thing might be possible. 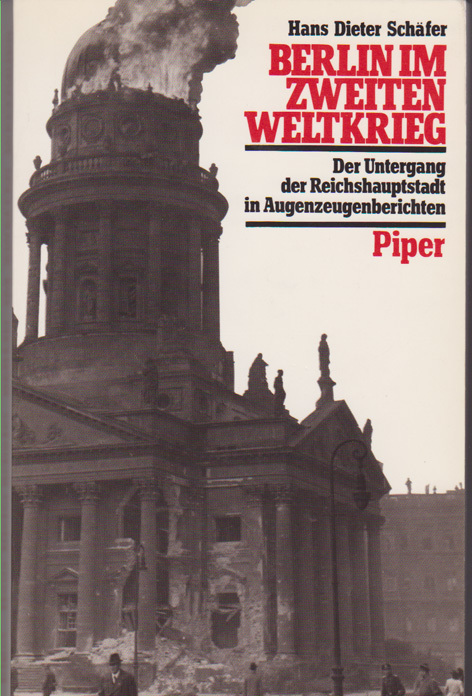 The first issue was that people didn't get dug out when buildings were on fire above them, and, having chosen the first really heavy raid on Berlin for the episode, I could nowhere find any references to fire-engines operating during air-raids. People went into blazing buildings to get as much of their stuff out as was possible, but that was different. I had two sources which proved invaluable. 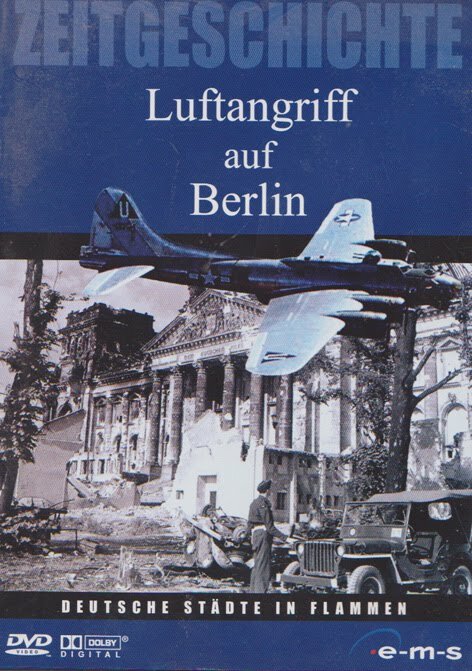 One was a German dvd called Luftangriff auf Berlin (Air Attack on Berlin) and the other was a book entitled Berlin im Zweiten Weltkrieg, (Berlin in World War Two) edited by Hans Dieter Schäfer. The dvd gave me many of the scenes that I have described in Rafael, the people pushing their belongings along blazing streets, weeping; the charred rigid corpse being brought out of a ruined building. And the useful and pragmatic air-raid precaution that must have saved many lives in the capital. A civil defence newsreel shows people making escape hatches between neighbouring cellars, then roughly walling them up again, bricks in front of a wooden gate. In the book I found an account of a couple whose apartment, in Charlottenburg, was on fire, making their way through cellars to safety using the 'Durchbruch' which means 'the breakthrough.' Having seen the dvd, it was clear to me what the Durchbruch was. So then I had to imagine why they'd be trapped in the cellar - and indeed, why my mother might have been trapped. The building next door had to have been hit, and there had to have been enough damage to block the Durchbruch. Then the people would have to dig themselves out. That would hold everyone in there long enough for the episode with the champagne to happen. I decided to give them music, too. I'd watched the appalling Zara Leander, a Swedish actor who became the idol of Nazi film, in the schlocky Die Grosse Liebe (The Great Love) - a film whose hero, incidentally, is a nasty bully who demonstrates very effectively what kind of man was officially admired at the time. The appalling hero and heroine of this movie make each other's acquaintance properly during an air-raid, and the shelter, underneath her luxury apartment block, was the one I reproduced beneath the luxury hotel in Rafael, with sofas, lamps, and a wind-up gramophone in case the clients got bored. It took a lot of thinking through, to match the fiction and the original story to historical probability, but it was worth it. After all, why make it up when the facts give you such wonderful images? I think that does say something about my kind of historical fiction - I could make it up, I have enough imagination - but to me, it's also a fascinating imaginative challenge to do what I have just described. And to imagine what it felt like; the smoke in your nose and throat, what it's like to be so close to death - one must feel numb and terrified by turns - and how it feels to be dancing, with the person you love (who's a Jew, though none of the people there know it) - and maybe that's the last dance and the last time you'll be in each other's arms. 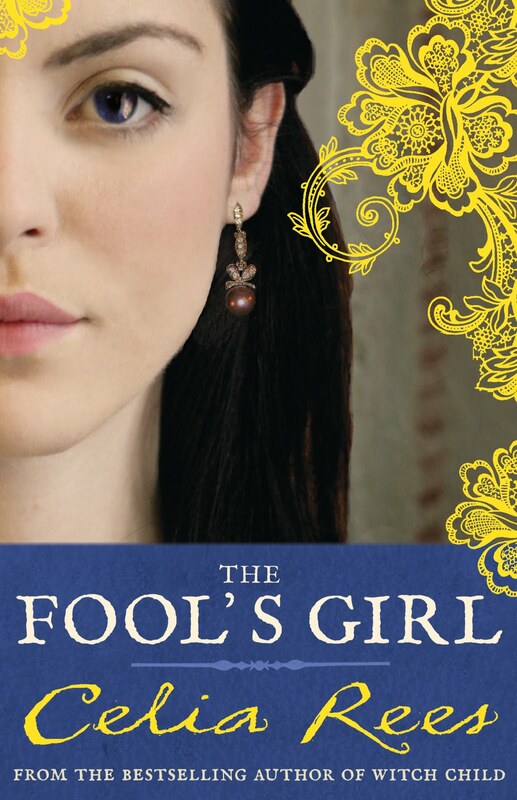 As soon as you start researching a historical novel, you discover that the past really is a foreign country, and they really do do things differently there. That's part of the fear and part of the fun: you're the pioneer in this strange land, hacking back the jungle and getting the measure of the natives, before you go back to collect your readers, and lead them through it in their turn. And yet they also say that the first person you meet when you travel abroad is yourself. We read and write historical fiction to experience our own time and our own selves from another angle and sometimes a more revealing one: to find out the constants in human nature, as well as the variables. When Rose Tremain wanted to write about Eighties Britain, she wrote Restoration, about the court of Charles II. When I wanted to conjure up the last, pre-digital generation of photojournalists, for The Mathematics of Love, I shared their story with the first stirrings of photography 150 years earlier. And it's because of this dual nature of historical fiction - the way that, like history-writing, it embodies Now, as well as Then - that I want to suggest that the ultimate kind of novel is the historical novel. As philosopher and novelist Richard Kearney puts it, in all storytelling the storyteller works with bits and pieces of experience from their world: things the listeners know, and things they know about from others past and present. The storyteller spins the bits and pieces into a tale which makes sense of them and shows the world in a new and clearer light. Fiction is where individual memory and experience and collective memory and experience come together, in greater or lesser proportions. The closer the fiction is to us readers, the more we recognise and claim it as individual rather than collective. [Canadian novelist] Margaret Laurence used to say that her English readers thought [her novel] The Stone Angel was about old age, the Americans thought it was about some old woman they knew, and the Canadians thought it was about their grandmothers. I think Atwood has put her finger on two important things. First, her "memory and experience" is clearly the same as Kearney's "bits and pieces": fiction is where particular stories can be shaped and related to general ones. Second, she's saying that being distanced from the world of the story helps us to see the general (old age) underlying the particular (grandmother's) life. She's talking about geographical distance, but of course temporal distance comes to the same thing. Some literary critics hate historical fiction, because it doesn't deal "authentically" with the experience of Now, but by definition can't be authentic to Then, either. No writer now setting a novel in the mid-eighteenth century is seriously trying to convince the reader that it's a long-lost manuscript by Henry Fielding, whatever games she or he plays with us along the way. And some historians hate historical fiction because History, as a discipline, depends utterly on being honest about the distinctions between a provable fact, a trustworthy record, a reasonable assumption, and pure speculation. But to tell a story "as if" it all happened, novelists must waltz to and fro between probable and possible, across the historians' all-important boundaries, without the reader ever feeling the bump. But to me what these historians and critics hate are some of the greatest strengths of the historical novel: the kind of strength which comes from growing up on disputed ground. When you write about history in any way you have to work under the tension built into a story which is about "not only Then, but also Now". And when you write a novel you have to work under the tension built into "not only Is, but also Might Have Been". So, if Atwood is right about what fiction is, then historical fiction has to hold together all four poles. It has to stretch backwards as well as sideways, reach across time as well as space, evoking particular experience to bring us collective memories beyond our individual reach. A historical novel, in other words, is doing explicitly what other kinds of novel only do implicitly. The ultimate novel, you could say, is the historical novel. 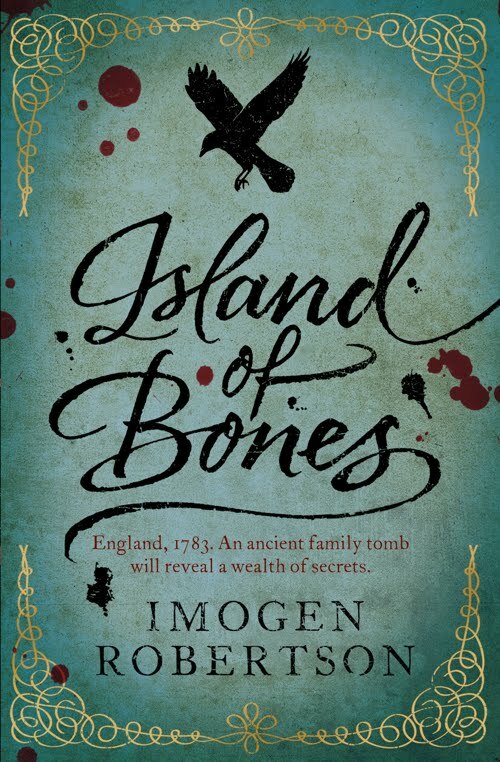 When I began to research Island of Bones, I went straight to the British Library and ordered up a guide book to the Lakes that was published in 1782. I wanted to read the edition which my characters, Harriet and Crowther, might have had with them when they made the journey to Keswick in 1783. So this is the first day on my new project, new notebook, new pencils, new beginning, a good time then for omens and portents. I collected the book and opened it up to find the original owner’s name on the flyleaf in beautiful 18th century handwriting. It was H Crowther. mind which, perhaps, makes it more likely we will see and take notice of coincidences. We are gathering as much information as we can, and looking for the links between the pieces, the joins; we’re trying to find or invent lines that will hold all the parts together and create a story. I think when you are in that state of creative investigation your mind spots patterns it might normally miss. I’d love to know what other people think about this, and what incidents they have encountered. Please do let me know. 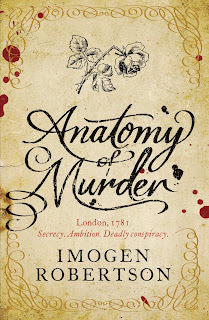 reader, Jocasta, for Anatomy of Murder, I started to see figures and symbols from the deck all over London. I was walking along the Southbank one afternoon, thinking hard about how Jocasta’s readings would influence the plot when I saw a man gulling the crowd with a ball and cup trick. He looked the image of the Magician card in the pack, even the way his table and other props were arranged seemed to match, and when I came to a sudden halt and stared, he looked up and winked at me. 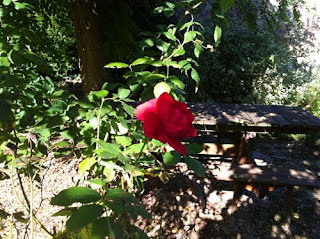 previous day there was a rose bush. I hadn’t noticed it before as there were no buds or flowers on it then, but this evening one perfect red rose had opened. I got Fay and Alex and we raised our glasses to it, and to the woman on whom our character was based. It felt like a blessing. The past is silent. Even its breath is hushed in the library quiet of old documents, or in the hum of our houses when we read its books at home. The crust of paint shows us the wordless dead, but what medium can help us hear them too? Er... I think that would be us. Obviously all the senses matter to a novelist, but if smell is the most evocative, then sound has a unique power to ‘make real'. One visit to Michelle Lovric’s wonderful ‘Undrowned Child’ website is enough to set me tingling with anticipation as I listen to the sound of muffled bells across the waters of Venice. There’s only one snag for a historical novelist, which is that we don’t always know the sounds we’re trying to recreate. The rustle of heavy beaded clothing is different from the swish of a modern ballgown, and even the turn of a page makes a softer, thicker sound in the 17th century than it does today. The very silence is different, as we learn every time there’s a power cut and even the faint mutter of the refrigerator dies. To write these things we have to hear them first. So as always, it's back to research. At least nature's reliable, and I bet I'm not only one who’s spent hours on bird-watching sites recoiling from ear-splitting shrieks I’m told are vultures indigenous to the Crimea. Cities are more changeable, but ancient maps came to my rescue many times when writing ‘In the Name of the King’. I knew about the hubbub of sound that would have greeted my country boy hero when he entered Paris – the maps gave me churches and therefore bells, contemporary engravings gave me cobbles and carriages, banging shutters and the cries of water-vendors – but I wanted something familiar under it to root him and keep him calm. Only one old map included the mysterious word ‘Ponceau’ right by the site of the old Porte St-Denis, but that gave me just what I needed: the sound of running water. Yet even these clues depend on us knowing what bells, shutters and water sound like in the first place, and for most lost sounds I rely heavily on re-enactment. My husband might be excused for believing the sound of making fire with flint and steel consists of ‘scrape, scrape, b%! *er!’ as the skin is once again gashed from my knuckles, but it’s through doing such things that I learned a bandolier rattles enough to give away an ambush, a dozen muskets being rammed simultaneously sounds like the rittling of knitting needles, and a smooth-bore weapon makes a deeper boom than any gun with a rifled barrel – knowledge that could save a soldier’s life in the Crimea. There are also contemporary accounts, and for my Crimean novel I’m lucky to have had imaginative writers on the spot. From Times Correspondent William Howard Russell I heard the screaming of birds under the booming of cannon, and from Alexander Kinglake the swish of the Highlanders' kilts as they marched through the long grass. Most of all I remember Lord George Paget’s diary reference to the ‘terrible slosh’ of a cannonball ripping into the belly of a man behind him. That one piece of onomatopoeia brought with it the sight and smell and touch, the wetness of the impact, the slurry on the cheek of the man next to him, the frailty and horror of it, one word for a death, slosh. But these are all extraordinary things, and few eyewitnesses bother to record sounds so common as to be almost unnoticeable. I wrote a diary for ten years, and never once mentioned the constant ‘beep-beep-beep’ of the crossing outside my front-door – just the kind of thing a historical novelist 200 years from now will want to know. Only a poet tends to reference the mundane, as John Donne writes of ‘the noise of a fly… the rattling of a coach… the whining of a door’, but even then they rarely describe. Perhaps we don’t need them to – especially when period drama has already familiarized us with basic sounds like carriage wheels or the clash of swords. OK, as a former TV producer I admit most of these effects are selected from CDs labelled ‘Transport – period’ or ‘Swords – generic’, but does the degree of authenticity really matter? Yes, it’s maddening to watch a duel dubbed to clashing broadswords because the director didn’t think the rapiers sounded butch enough, but as long as picture matches sound I doubt most of us really care. This isn’t ‘Top Gear’, and the aural difference between a barouche and a landau is unlikely to arouse the same passions of those discussing a Ferrari Testarossa and a Lamborghini Aventador. Yet I still want to know what those sounds were, if only just for me. When I soak myself in music of the period, it’s not to describe it to the reader, but to take myself there so I can write about everything else. And in writing the 1850's I'm not limited just to music. In this wax cylinder recording the cavalry charge is being played by a surviving Trumpeter of the Light Brigade on the very same instrument he used that day at Balaclava. 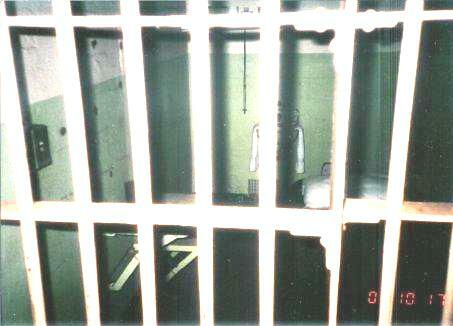 But the recording that really sends shivers up my spine is this. Even the second, clearer rendition has deteriorated so much you need the transcript to understand it, but the voice you are hearing is of an old woman called Florence Nightingale. Why is that so fascinating and extraordinary – why? 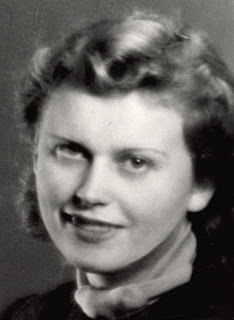 We KNOW she was real, we’ve seen her photographs, and the plummy voice is exactly what we’d expect. Perhaps it’s the rarity value, the incredible sensation of hearing the dead speak, a feeling not dissimilar to nostalgia and an irrational ache for something lost. To me there's no more evocative sound. This little video is from a DVD by Priory Records which they’ve put on youtube just for this blog, because the kind producer happens to be my long-suffering husband. It’s an organ performance of the Dambusters March, but watch what happens halfway through as the last working Lancaster in England flies in the sky above Lincoln Cathedral. The music is wonderful, of course, but as it dies my husband kept the sound going so we could hear the wonderful and unique sound of those four Merlin engines that say ‘World War II’ in a way nothing else can. For my mother that sound recalled the war. For me it recalls both the war, and the wetness in my mother’s eyes as she stood still in a summer garden with a red plastic peg in her hand. Sound links us through the years in an unbroken chain, and I only wish I could do the same with words. A.L. 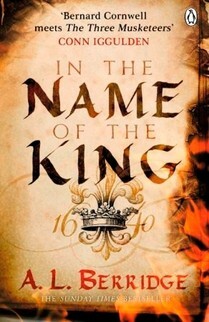 Berridge’s ‘In the Name of the King’ came out August 4th 2011. ‘Into the Valley of Death’ is due Spring 2012 if she can stop being maudlin long enough to finish it. The 11th October 2001 was a very strange time to be in the United States of America. It was exactly one month after the events now known universally as 9/11 and I was speaking at a Conference on Children’s Literature which was taking place in San Francisco. The Conference itself is not directly relevant to the subject of this Blog. (It is relevant to another title of mine, REMEMBRANCE, which will be the subject of a later Blog) The location of the Conference is what is of interest here. 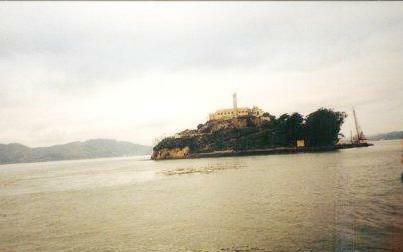 In San Francisco Bay lies the island of Alcatraz. The country and the city were in a state of anxiety with constant terrorist alerts. The main landmarks were believed to be targets and had restricted opening hours or were closed altogether. To my husband’s disappointment, in the tourist information, Alcatraz was listed as one of the latter. Then, on a stroll along the pier one day, we saw a chalked board announcing that the island would be open to visitors for a few hours that afternoon. We took the short boat journey past the basking sea lions to the island known as The Rock. 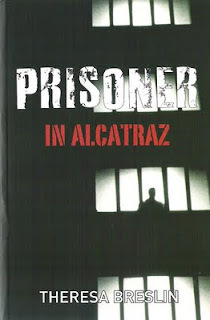 For most people Alcatraz is famous for its prisoners of past times such as Al Capone, Machine Gun Kelly, the Birdman etc., but the island has a much longer history. It became a fort when California was first settled and a key fortification during the American Civil War. 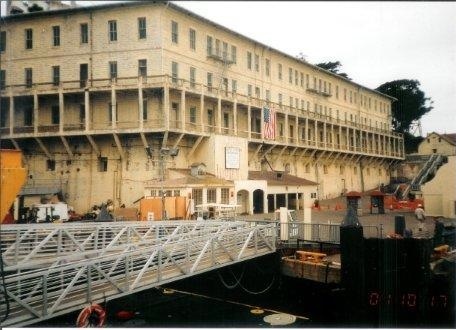 It was used as prison then, and also later, during the Indian Wars and the Spanish American War. The island is in a key position to defend the harbour of San Francisco, the city and the f ertile valleys beyond. I imagine the antennae of every writer would have been set aquiver hearing that. I agreed it definitely didn’t have the same ring to it. I decided that I’d go inside. Something was fluttering in my mind. I was less intrigued by the high profile inmates than the hapless casualties of society. What about those “others”. Who were they? How did they end up in the most notorious prison in the world? Oh Great Galloping Galoshes! There are so many bolts and bars and locks and heavy metal doors with keys and padlocks and chains and shackles and, and, Quick! Grab earphones and ram on head. It’s a real ex-con talking! How he hadn’t meant to get in trouble, as a young man he fell in with the wrong crowd, got carried away by the moment. Lying on his cot bed he listens to the mournful honking of the sea lions in the bay and at New Year the sound of revelry being carried across the water. He remembers his childhood. ‘Some did,’ says the tour guide. ‘Convicts escaped from Alcatraz?’ I ask in surprise. ‘Not escape, exactly,’ he replies. ‘What then?’ My fingers twitch towards notebook. In the shop I bought the post card. 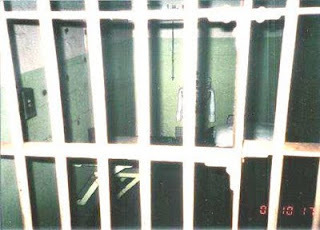 It depicts a jail cell, and below that is written. Food, clothing, shelter and medical attention. Anything else you get is a privilege. Hey! I thought. I know where that’s going. When I got home I pinned it on our kitchen notice board and pointed to it when any or all of the young adults sharing our house got particularly stroppy. 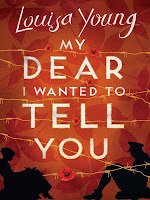 A year or so later the specialist publisher, brilliant Barrington Stoke, phoned and asked if I could write a short book with a direct storyline in a straightforward style that would be of interest to teenagers. Oh, could I? I know that Barrington Stoke books are incredibly popular especially with our reading-challenged children and EAL students. Librarians, Learning Support teachers, those who work with young offenders can’t get enough of them. So I’m thinking of the subject matter. 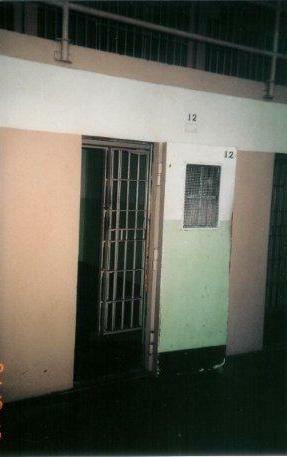 I’m thinking of a young man lying in his cell. I’m thinking of a break-out attempt. And there’s a story vibrating in my head. It’s called PRISONER IN ALCATRAZ. POSTSCRIPT: I’m writing this Blog just after the riots in London and other large UK cities while hundreds of mainly young people are being fast-tracked into our courts and exiting with a criminal record, and I’m deeply concerned about the “others” in our present day society. 19th August 5.00pm with Guy Hollands and Elly Goodman co-directors of the Citizens Theatre production of DIVIDED CITY. Members of the cast will also take part. I didn't make a conscious decision to begin writing Historical Fiction, but once I'd written Witch Child and its sequel, Sorceress, then other ideas popped up for further books set in the past. Like all writers, I found my own way of working, ways of researching, my own answers to the problems with voice and language that writing in this particular genre throws up. I also made some rules for myself. 1. Not to write about real people (to easily held to account). 2. To avoid the 16th Century (too well trammelled). It was such a strong idea, I could see it so vividly, I had to do it even though I would be writing about a) the 16th Century and b) William Shakespeare, one of the most famous people ever. My rules had to go, but it was still a daunting prospect. How would I dare to do it? I had to get past my fear and find a way into him. First of all, I had to re-cast him in my head. 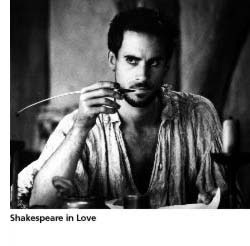 I discarded all the portraits (disputed anyway) and decided that he would look like Joseph Fiennes in Shakespeare in Love (see above) a little older, maybe thinning a bit on top. I had to be able to approach him as a person, so I decided to make him plain Will from Warwickshire trying to establish himself in the cut-throat world of the Elizabethan Theatre as part-time playhouse manager, writer and sometime actor, before he was that famous. Once I got started, I found the research rather re-assuring. There are whole libraries full of opinion and speculation but there are very few verifiable, known facts about his life because he wasn't important enough to leave much of an impression on the historical record - apart from his plays, of course, and there are plenty who would deny that he even wrote those. I was free to make him into my Shakespeare. TALES OF THE PAST: Penny Dolan.